ABB Robotics in collaboration with Andy Flessas (aka andyRobot) of Las Vegas announce the availability of RoboScreen® function packages from ABB beginning in the second quarter of 2013. 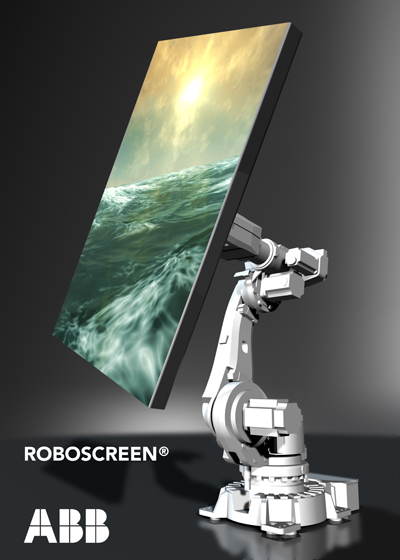 A RoboScreen, for which Flessas holds numerous patents, is a graphical screen mounted to the arm of an ABB articulated arm robot, which creates a unique viewer experience by bringing virtually unlimited, 6-axis movement to the video media. RoboScreens first gained prominence in 2010 when a group of large model RoboScreens travelled the globe as main stage props for the Bon Jovi Circle Tour. The RoboScreens moved to the beat of the music, displayed real time video and pre-produced animations, and assembled into various formations such as individual stairs and an elevated performance platform. RoboScreens have since been featured on the cover of the 2012 Autodesk® AutoCAD® software box. In addition to five robot and screen size options, the new function packages include a selection of specially developed control software, and can include a custom mixing board to interface between the software and the RoboScreen. Market segments for the new RoboScreen packages include live performance and event entertainment, interactive point-of-purchase retail advertising, upscale building architecture, and nightclubs and sports bars. The RoboScreens will be available in a range of sizes from diagonal screen dimensions of approximately 26 inches to 13.5 feet, and feature robot models from the IRB 120, ABB’s smallest 6-axis robot, to the IRB 7600, ABB’s largest model. Custom RoboScreens will also be available. Integral to the function packages are two Autodesk Maya-based plug-ins to ABB’s mainstream RobotStudio software, co-developed by Flessas and the ABB global software team. 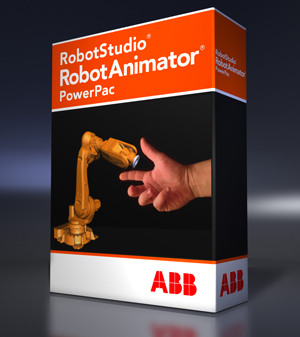 The Robot Animator PowerPac for RobotStudio can control standard ABB Robots, and the RoboScreen PowerPac is specifically applicable to RoboScreens. 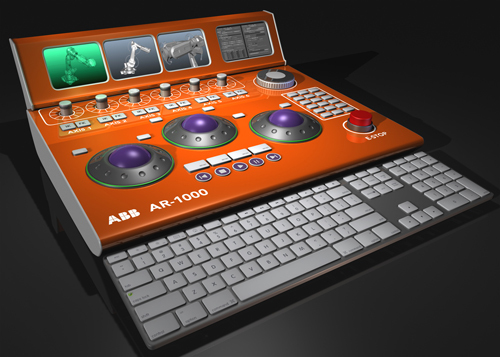 RobotStudio is ABB's simulation and offline programming software, and Maya is a 3D computer graphics software used to create interactive applications, including video games, animated film and visual effects. With the PowerPac plug-ins the software merges the features and benefits of a graphic simulation tool with application programming software, creating a fully simulated robotic motion program that can be downloaded directly to robot system to control the robots. Quite simply, what is simulated in the program is what the robots do on the floor. A custom designed mixing board similar to those used in live concert and stage productions will be available as an option to the RoboScreen function packages. The innovative system will merge with a Core Interface Module, creating a paradigm shift in the control and programming of robots in entertainment applications. The mixing board will allow entertainment industry personnel to control robots with equipment in which they are familiar, without needing formal robot programming experience; providing an integrated means to intuitively synchronize the robots with other stage or set elements such as lighting, sound, camera control and the movement of other props. For more information on ordering and product availability call Nick Hunt, ABB manager of robotic technology, at 855-541-8006. ABB Robotics is a leading supplier of industrial robots – also providing robot software, peripheral equipment, modular manufacturing cells and service for tasks such as welding, handling, assembly, painting and finishing, picking, packing, palletizing and machine tending. Key markets include automotive, plastics, metal fabrication, foundry, electronics, machine tools, pharmaceutical and food and beverage industries. A strong solutions focus helps manufacturers improve productivity, product quality and worker safety. ABB has installed more than 200,000 robots worldwide.